This service is operated by our French partners, Actibus. They sell tickets for this service online via the Actibus website.. Although can also buy tickets once you arrive at the airport, we strongly recommend buying them in advance. On Saturdays, representatives from Actibus will be in the departures lounge selling tickets. On Sundays and weekdays, you can buy tickets from the driver. All the buses depart and arrive from outside the Departures lounge. Tickets on the day cost 15€ pp Single and 26€ Return. Children under 12 get a 10% discount. The service will take you directly to the main bus and train station in Grenoble, the “Gare Routiere“. From here you can take onward transport to many towns, cities and ski resorts in France and Europe. Check out the SNCF website for train information and the Transaltitude or VFD websites for local bus information. The transfer time is about 45 minutes and the distance is 45 km. Whether you are travelling for a ski holiday, to visit friends, on business or just to visit Grenoble itself, this bus service will provide you with an efficient, timely, cost effective and environmentally-friendly way to get to the city centre in a safe and comfortable fashion. 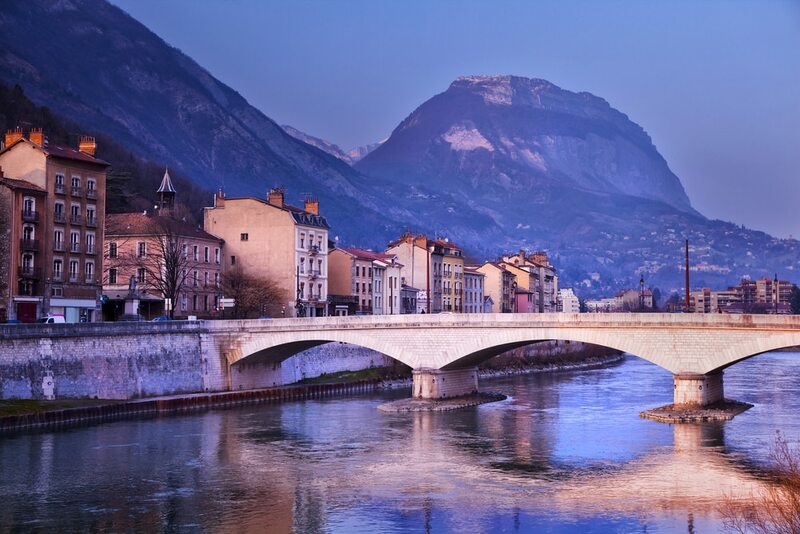 The shuttle service operate every day that there is a scheduled flight into or out of Grenoble Airport, between the 15th December 2018 and the 20th April 2019. The bus timetable has been designed to minimise the time you spend at the airport. The maximum wait time is 1 hour 30 minutes, although depending on your flight arrival time, it is often much less.